We are Alaska's premier female a cappella chorus, based in Anchorage. Our chorus is made up of over 70 fun-loving women from all walks of life who share a passion for singing a cappella music in the barbershop style. Under our Director, Peggy Benton, Alaska Sound Celebration is heavily involved in the vibrant arts community in Anchorage. The Chorus is the creative force behind the highly successful Fur Rondy Melodrama. But we are also committed to the musical education of our members and to developing young vocal talent in Anchorage and beyond. 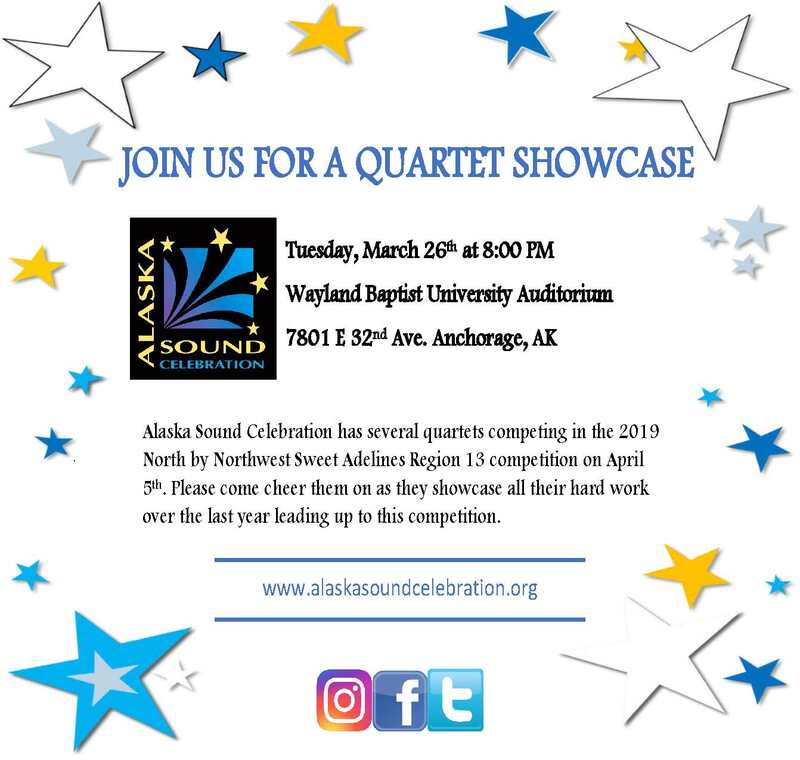 Alaska Sound Celebration is a chapter of Sweet Adelines International.